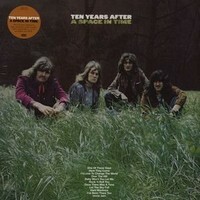 Ten Years After are an English blues-rock band, most popular in the late 1960s and early 1970s. Between 1968 and 1973, Ten Years After scored eight Top 40 albums on the UK Albums Chart. In addition they had twelve albums enter the US Billboard 200, and are best known for tracks such as "I'm Going Home", "Hear Me Calling", "I'd Love to Change the World" and "Love Like a Man".